Once a century comes the Ultimate Pi Day. Are you ready? Celebrate Pi Day the right way: with pie! We will be open all day. Come geek out with us. 3.14 Mile Loop, starting and ending at Pie Shop. We'll check out the new PATH 400 and earn that breakfast quiche! By Checking here I agree that I hold Pie Shop harmless for injury related to this run. I am in good physical condition and understand the intrinsic dangers in running in a city environment. 9:26 am: Breakfast Quiche for all! This is the golden hour on Pi Day! We will cover the first 8 digits of Pi - it only happens once a century! $3.14 delivery within 5mi radius of Pie Shop. Delivery through our partner Kanga. Call 404-841-4512 to schedule! 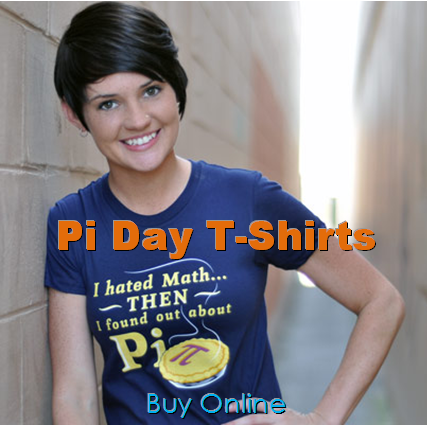 Pi Day Merchandise for sale. Commemorate the big day. Tiered Pie Sale for pre-orders for pickup on Friday and Saturday. Save up to 20%. Email us at orders@the-pie-shop.com to reserve your discount. Freezer Sale Pi Day through the end of March. All pies in our freezer are yours for 50% off! Stock up for easy dinner nights.